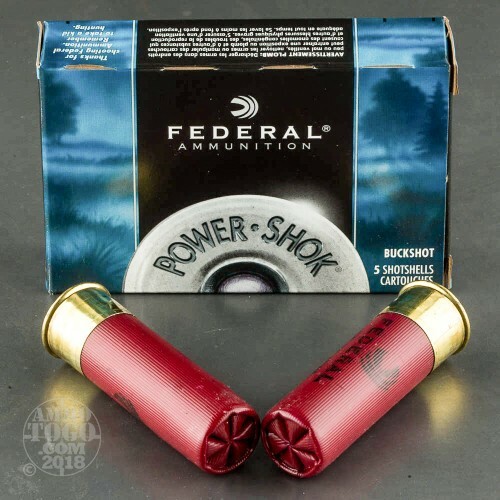 With a whole case of these 12 Gauge shotshells from Federal’s Power-Shok line of ammunition at your disposal, your home will be perfectly safe from home intruders and bucks alike! 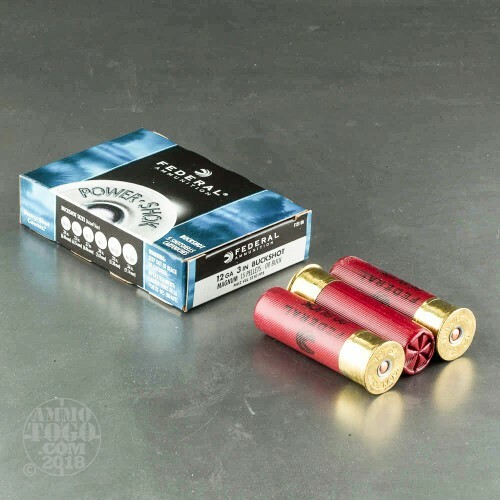 It’s loaded with 15 pellets of 00 Buckshot, an extremely popular shot size for its ability to inflict massive trauma on targets from fairly substantial distances. That it’s utilized by the police and hunters alike really speaks to double aught’s versatility. 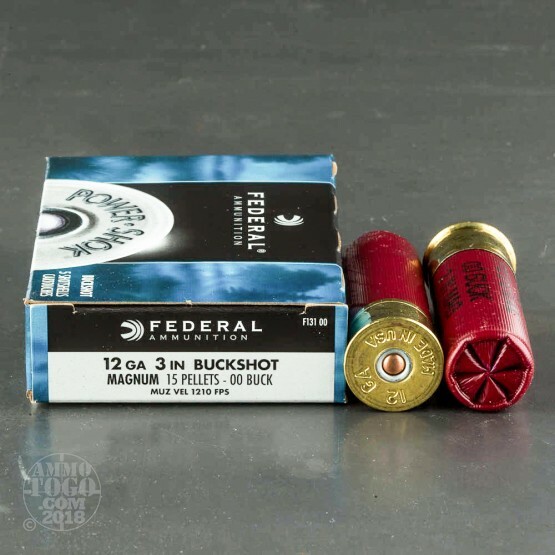 This shell features Federal’s own Triple Plus wad system, which works well to promote superior shot alignment. 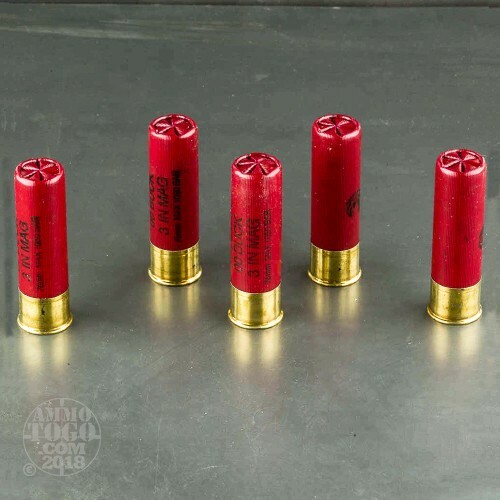 The shell’s accuracy is further bolstered by its spherical shot pellets’ superior hardness, as well as the granulated plastic buffering that protects the shot as it hurtles through the bore. This shell’s sturdy hull and six segment crimp will keep things intact during a tough hunt, and its clean burning propellant will lessen the need for frequent cleanings out in the woods.